Motorcycle accident fatalities have far reaching effects. In a split second, we can lose a loved one. Families can be fractured. The financial losses can be staggering. The emotional wounds never heal. Even though no one can ever bring your loved one back after a fatal Miami motorcycle accident, there remain issues of accountability and responsibility for the survivors. The motorcycle wrongful death and injury lawyers at the Wolfson Law Firm understand the loss and harm that follows the death of a loved one in a motorcycle accident. We have over 60 years of combined experience of representing survivors and family members in motorcycle wrongful death claims. We can help you and your family. Don’t be a silent victim. Get the answers you and your family need. Call us today for a free and confidential consultation at (305) 285-1115. Our Miami motorcycle serious injury and wrongful death lawyers research and study statistics in our investigations of motorcycle injury and death cases. To that end, our attorneys reviewed the Insurance Institute for Highway Safety and their analysis of data obtained from the U.S. Department of Transportation's Fatality Analysis Reporting System. The results were shocking and our report is below. According to the National Highway Traffic Safety Administration, they estimate in 2013 the number of motorcycle fatalities was more than 26 times than vehicle deaths when measured per mile travelled. In 2014, 4,295 motorcycle riders died. In the early 1980s the death rates of motorcycle deaths began to decline. But in 1998, those same rates began to increase and continued to rise through 2008. The death rate declined in 2009 by 16 percent but returned to increases from 2010 to 2012. Then again, the motorcycle death rates declined in 2013 and 2014. In 2014, deaths involving motorcycles constituted 13 percent of all motor vehicle fatalities in 2014. When comparing the motorcycle death rates from 1997 to 2014, the death rate had more than doubled in size. 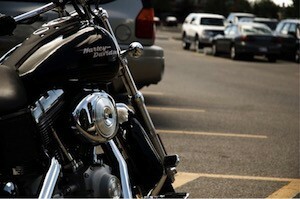 In 2011, motorcyclists who died were 22 percent more likely to driving without a valid license. In 2014 that number climbed to 28 percent. Since the 1980’s, approximately 42 percent of fatally injured motorcyclists were involved in single vehicle accidents. 58% of the motorcycle deaths involved multiple car accidents. Remarkably those numbers have remained fairly consistent over the last 35 years. In the 1980’s, three percent of motorcycle deaths involved riders who were 50 years old or older. That began to increase over the years up to 36 percent in 2014. In 2014, that number had decreased to 30 percent. Of the female motorcyclists who died in 2014, 66 % were passengers. Of all motorcycle passenger deaths, 93% were female. The overwhelming majority of male motorcycle fatalities were listed as drivers. Of all the motorcycle fatalities in 2014, 62% were wearing helmets. Of all the passengers killed in motorcycle accidents, 53% of them were using a helmet. In states with helmet laws, 91% of the fatalities were helmeted. In states with no helmet laws, only 28% of the fatalities were using a helmet. In states with hybrid helmet laws that only cover some motorcyclists, about 40% of those fatalities were wearing helmets. In 2014, more than 60% of motorcycle fatalities happened between May and September with the highest occurring in June. The lowest monthly rate nationally was in February. In 2014, more than 50% of motorcycle fatalities happened on the weekends and more likely than not after 6pm. 55% of motorcycle deaths took place in urban areas. 44% occurred in rural areas. More than 55% of motorcycle fatalities in 2014 happened on main roads other than freeways, parkways and interstates. In 2014, 43% of motorcycle fatalities in single vehicle crashes had illegal alcohol levels. 30% of motorcycle fatalities had BAC (blood alcohol concentration) at or above .08% which is the legal limit. Of all motorcycle fatalities that occurred between 9 pm and 6 am, approximately 55% of those motorcyclists had illegal BAC levels. We will answer any questions you have. Our consultation is free and we can come to you or you are welcome to come to our office. If you choose us, you will never owe any attorney’s fees unless we recover for you. All you have to do is call us at (305)285-1115 for your free consultation.